You’re reading novel King of Gods Chapter 977 - Soul Tracking online at LightNovelFree.com. Please use the follow button to get notification about the latest chapter next time when you visit LightNovelFree.com. Use F11 button to read novel in full-screen(PC only). Drop by anytime you want to read free – fast – latest novel. It’s great if you could leave a comment, share your opinion about the new chapters, new novel with others on the internet. We’ll do our best to bring you the finest, latest novel everyday. Enjoy! Zhao Feng and the little thieving cat headed toward the forge once more after leaving the Divine Herb Tower. Zhao Feng saw Zhou Su'er enter the Divine Herb Tower not long after he left, and Old Ying was in a bookstore. At this moment in time, everyone was finding their own fortune. "What can I do for you?" The dark-skinned male looked at Zhao Feng. "Can you have a look at this weapon of mine?" A dark silver bow with mysterious tadpole-like markings on it appeared in Zhao Feng's hand. "This weapon is perfectly fine, and all of its aspects are top-tier. There are many abilities that can be added to it, but since you specialize in the soul, not many abilities or effects will be very useful for you." The dark-skinned male closely inspected the Sky Locking Bow. Zhao Feng's expression turned to surprise, and he admired this machine. The dark-skinned male had a.n.a.lyzed the forte of the user as well as the weapon. Zhao Feng cultivated many different elemental techniques. However, even if he gave the Sky Locking Bow something related to Wind, Lightning, or Fire, the overall increase in strength to the Sky Locking Bow would be limited. Therefore, Zhao Feng wanted to give the Sky Locking Bow some abilities regarding the soul. "I suggest you give this weapon a soul tracking effect. It is extremely suitable for you." The dark-skinned male closely inspected Zhao Feng's left eye before saying this. "Soul tracking?" Zhao Feng paused for a moment. He could make some guesses, but he wasn't entirely sure what ability that would be from the name alone. "Simply put, with soul tracking, you can use this bow to shoot and kill anyone you can sense with your soul." The dark-skinned blacksmith revealed a confident smile. "Shoot and kill anyone I can sense with my soul?" Zhao Feng was surprised. The Sky Locking Bow already had the soul tracking ability; even if the enemy had escaped very far away, he could still shoot them. However, the prerequisite was that Zhao Feng had to lock onto them with the Sky Locking Bow first. The soul tracking that the dark-skinned blacksmith talked about meant that Zhao Feng just needed to leave a mark on someone with his eye-bloodline. As long as Zhao Feng could sense the position of this mark, he could shoot them with his Sky Locking Bow. For example, if Zhao Feng had left a mark with his G.o.d Eye on Sacred Lord Black Demon, he could shoot him right now from inside the city. This method was rather easy, but also rather mysterious. "That's right. Because this bow's targeting ability is already extremely unique, you can strengthen it to soul tracking...."
The dark-skinned blacksmith nodded his head and explained once more. Not all weapons could have this ability. It was only because the Sky Locking Bow already had a powerful targeting ability that it was able to. Soul tracking was just upgrading the Sky Locking Bow's original skill. Of course, the cost of this upgrade was still very expensive. "Okay, I'll upgrade it." Zhao Feng decisively paid the amount. What the dark-skinned male said persuaded Zhao Feng. "You can come back two days later to collect it." The dark-skinned male put the Sky Locking Bow into a large black furnace and spoke. "I also want some arrows that are suitable for this bow." Zhao Feng thought for a moment before continuing. At this point, the other fortune within the Heaven's Legacy City wasn't important anymore. If he was able to obtain some powerful arrows that were compatible with the Sky Locking Bow, it would become one of Zhao Feng's hidden cards on top of the G.o.d Slaying Arrow. Even if Zhao Feng broke through to the Mystic Light Realm, he still might not be able to completely use the power of the G.o.d Slaying Arrow. He barely managed to release the first arrow when killing the Nine Darkness Demonic Lord last time, and it almost killed him. The most important point though was that Zhao Feng only had one G.o.d Slaying Arrow left. "What kind of arrows do you need? You can give me a few simple requirements, and I can craft them perfectly. If you have a drawing or a blueprint of the arrow you want me to make, the price can be a bit cheaper," the dark-skinned male said excitedly. If there was a blueprint or an example of the weapon here, it would reduce the amount of time and effort needed, thus the lower price. Zhao Feng's expression became slightly grim. He obviously didn't have a blueprint or drawing, but he did have an arrow…. "Have a look at this." A scarlet-golden arrow appeared in Zhao Feng's hand. The instant the G.o.d Slaying Arrow appeared, a sharp metallic glow filled the area and caused the items within the forge to start trembling. However, this piercing aura only appeared in the forge; no one outside could sense it. Zhao Feng couldn't help but be shocked. It seemed like this forge was not simple - it could even block the power of a substandard G.o.d weapon. "This is the G.o.d Slaying Arrow." Red light shot out of the dark-skinned blacksmith's eyes. He obviously knew of such a famous substandard G.o.d weapon. "I don't need more G.o.d Slaying Arrows. I just want a few arrows based on it, but that are a bit weaker." Zhao Feng believed that the forge tower within a Heaven's Legacy City had the ability to create substandard G.o.d weapons, but Zhao Feng couldn't afford one. One had to know that, generally speaking, substandard G.o.d weapons were weapons that only DemiG.o.ds could control. Their value was immeasurable. Furthermore, the time that Zhao Feng was staying in the Heaven's Legacy City was limited. Making a substandard G.o.d weapon would probably take a lot of time. "Sure. Please give the G.o.d Slaying Arrow to me. I will first need to a.n.a.lyze the structure and make a blueprint of this weapon. It might take a while." The dark-skinned blacksmith looked at Zhao Feng solemnly. "Okay." Zhao Feng didn't hesitate at all. He definitely wouldn't agree to handing over the G.o.d Slaying Arrow in the outside world. Zhao Feng wouldn't have even taken it out in the first place. However, this was a Heaven's Legacy City run by automatons. The dark-skinned blacksmith took the G.o.d Slaying Arrow and led Zhao Feng to the tenth floor where he put the arrow into a complex compartment. Four hours later, the dark-skinned blacksmith took out the G.o.d Slaying Arrow and handed it back to Zhao Feng. He then pointed his finger into the air, and a screen instantly appeared. "Please have a look. According to the structure of the G.o.d Slaying Arrow, there are a few types of arrow that can be made." Zhao Feng's eyes instantly scanned over the screen. There were twenty-six drawings of an arrow on the screen, ranging from normal Emperor-level arrows to the G.o.d Slaying Arrow itself. "As I thought, they can even make the G.o.d Slaying Arrow." Zhao Feng took a deep breath and continued to read through the descriptions. These twenty-six types of arrow were all one-time-use items, and since Zhao Feng had provided the G.o.d Slaying Arrow as well, the price was relatively cheap. In the end, Zhao Feng finally chose three arrows. The amount of Primal Crystal Stones and materials he paid was greater than the total wealth of a late-stage Sacred Lord's inheritance. "You can come back two days later to collect the arrows and the bow." The dark-skinned male revealed a joyful smile. Zhao Feng headed toward the city wall after leaving the forge. There were more than a dozen rooms here, but no one else had returned yet. Zhao Feng chose a room close to the side and opened the protective array around it. The little thieving cat jumped into the Misty Spatial World. It had gained a lot from the Heaven's Legacy City as well. "I'll first have a look at the Soul Splitting Technique." Zhao Feng still hoped that he could make use of this incomplete technique. After all, the elder from the Divine Techniques Palace had given this technique a good rating. If what the elder said was true, this Soul Splitting Technique was different from other soul-based secret techniques. Zhao Feng spent some time and read through the Soul Splitting Technique. "This technique is indeed very interesting." Zhao Feng was completely absorbed by the contents. The Ten Thousand Divine Thoughts Technique trained one to split their mind, and the Soul Splitting Technique tried to split the soul. Zhao Feng had never seen an idea similar to this even in the DemiG.o.d Forgotten Garden or Xie Yang Palace, but the idea made his eyes light up. However, there was only one level in the Soul Splitting Technique. Only a part of the second level had been written. There was also a warning written on it by the author; "From the experience of others, anyone whose soul isn't strong enough will find it difficult to cultivate the first level." Zhao Feng was speechless. In other words, no one had ever succeeded cultivating the first level. Zhao Feng even had a suspicion that the author died after trying to cultivate the Soul Splitting Technique themselves. "Looks like I'll have to put the Soul Splitting Technique on hold. Maybe when I'm stronger, I'll be able to complete this technique." Zhao Feng liked the idea of this technique, but it was a little dangerous at the moment. After putting away the Soul Splitting Technique, Zhao Feng then merged his consciousness into the Soul Eye Refining Technique. The Soul Eye Refining Technique was one of the eye-stealing techniques with the highest rate of success. While learning about the Soul Eye Refining Technique, Zhao Feng also circulated the Ten Thousand Divine Thoughts Technique and used the power of the G.o.d Tribulation Lightning to get rid of the Death Intent within the Eye of Death. "This seems pretty simple. I can start it already." Zhao Feng could completely understand the Soul Eye Refining Technique. This secret technique required the user to utilize their soul and slowly refine the eye until the characteristics of the eye changed. The closer the cultivation between the user and the eye, the easier it was to refine. When the characteristics of the soul eye were halfway compatible with the user's soul, they could try to a.s.similate it. Luckily, the Emperor of Death was a Quasi-Sacred Lord, so the level of this Eye of Death was almost the same as Zhao Feng. "I can start refining it now." Zhao Feng merged his consciousness into the dimension of his left eye. The Eye of Death floated quietly above the mysterious golden ball. Zhao Feng had already forced out all the Death Intent within it. Zhao Feng then used the Soul Eye Refining Technique and transformed his Eye Intent into a unique Soul Flame to slowly refine the Eye of Death. A day's time soon pa.s.sed, and all of the members of the Ninth Prince's team had spent almost all their savings. Everyone regretted not conquering a few more inheritances. Shen Jizi bought an extremely profound array from the array tower and set it up outside the city wall. Zhao Feng opened his eyes on the second day. "I didn't think that everything would progress so smoothly." Zhao Feng was pretty surprised. In just two days' time, he realized that the Eye of Death was already 50% compatible with him. This meant that Zhao Feng could prepare for the next step. You're reading novel King of Gods Chapter 977 - Soul Tracking online at LightNovelFree.com. You can use the follow function to bookmark your favorite novel ( Only for registered users ). If you find any errors ( broken links, can't load photos, etc.. ), Please let us know so we can fix it as soon as possible. And when you start a conversation or debate about a certain topic with other people, please do not offend them just because you don't like their opinions. You're reading King of Gods Chapter 977 - Soul Tracking. This novel has been translated by Updating. 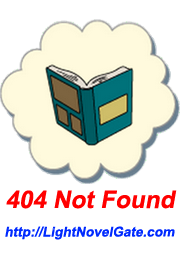 Author: Fast Food Resturant,快餐店 already has 1405 views. Current Time is Apr-22-2019 08:20:13 AM.